The Massachusetts Bay Transportation Authority has resorted to using bright reflective logos on approve handsets to distinguish between employees using a radio for legitimate work purposes and those violating the T’s ban on cell phone use by drivers, the Boston Herald reported. Officials hope the move will further reduce the risk of a Boston subway accident or bus accident caused by a distracted driver. With or without the law, a mass transit driver’s obligation is to the safety of passengers. When an accident is caused by speeding, distracted driving or other negligence, serious and fatal injuries frequently result. Such cases usually involve multiple accident victims and should always be handled by an experienced Massachusetts injury lawyer. Some confusion has reportedly arisen when riders spot bus drivers and subway operators using the black hand-held radios utilized by the transit system. By putting the bright stickers on the radios, they apparently hope to ease the minds of commuters. 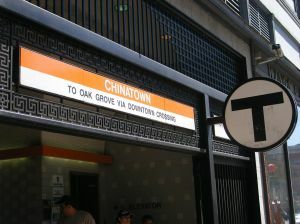 The MBTA banned employees from carrying cell phones after a trolley accident in May 2009. The crash was blamed on an operator texting his girlfriend. Since enacting the rule, about a dozen employees have been fired and 10 others have been disciplined. We question how using “approved” handsets can be safer. Certainly, employees will not be making personal calls on company time. But whether they are personal or business calls, the use of a hand-held device still constitutes a significant driver distraction. I guess accident victims can take heart in the fact that the next crash was caused by an operator using an approved radio as part of his job! If you have been injured in a Boston bus, subway, train or taxi cab accident, contact Massachusetts Injury Attorney Jeffrey S. Glassman for a free and confidential appointment to discuss your rights. Call 877-617-5333.